A recent university assignment investigating Digital Citizenship in Education studied in the Masters course, Knowledge networks and digital innovation, being studied through Charles Sturt University (CSU) required students to assess digital citizenship needs within their school environments and make recommendations for future directions. One element of the task was to prepare an annotated bibliography of essential reading for college leadership teams. This is the bibliography prepared by Helen Stower and myself. It contains some excellent resources for anyone considering digital citizenship priorities for secondary schools. When considering the policy and procedures needed for a DLE, it is imperative to consider the concept of digital citizenship and how this will be managed and taught within the school in question, as this will directly influence the behaviour of staff and students online. The transition from analogue to digital classrooms places great pressure on educators to be aware of the behaviours of their students in digital and globally connected environments and, while constant monitoring of these behaviours is almost impossible, providing them with guidelines and models of how to interact in such environments will assist them in having successful learning experiences online. Consequently, it is imperative that educators and administrators become familiar with the General Capabilities of the Australian Curriculum as they provide insight into how aspects of digital citizenship can be incorporated across disciplines in a school environment. On this website, beyond the obvious links to digital citizenship and technology use in the ICT Capability, reading the information associated with the capabilities of Ethical Behaviour, Personal and Social Competence and Intercultural Understanding are of particular worth, as they have considerable implications for digital citizenship. The social nature of DLEs in online environments is relevant to the capability of Ethical Behaviour as students must ensure they are aware of the impact their behaviours can have on others and manage this accordingly. This also has relevance to the capabilities of Intercultural Understanding and Personal and Social Competence as students become aware of the differences between cultures in a DLE and be able to act appropriately and ethically in response to this. The General Capabilities must be considered when preparing policy and procedures for a DLE as teachers in Australia are expected to address and assess these across all learning areas. Crockett, L., Jukes, I., & Churches, A. (2011). 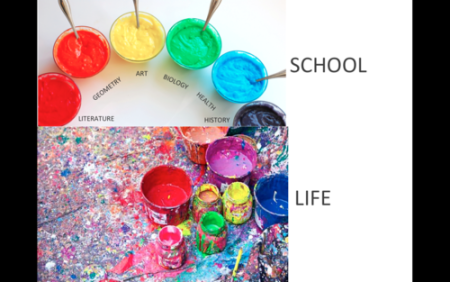 Literacy is not enough: 21st century fluencies for the digital age. Kelowna, B.C. : 21st Century Fluency Project. Literacy is not enough: 21st century fluencies for the digital age focuses on identifying the learning environments necessary to facilitate digital learning and methods for implementing these. The authors, Lee Crockett, Ian Jukes and Andrew Churches have authored and co-authored several books, articles and blogs that focus on educating students to thrive in a time of exponential change. The central argument of this book is that the information landscapes of the 21st century require a shift in the way we teach and evaluate learning. The purpose of this book is to provide an impetus to initiate change and is best used to stimulate questions that challenge traditional pedagogical methods and structures with a focus on relevancy for contemporary learning. The first three chapters build the authors’ argument and the remaining chapters outline a core set of ‘fluencies’ (solution fluency, information fluency, creativity fluency, media fluency, collaboration fluency and global digital citizenship) and provide tools for teachers to use in order to develop lesson plans, create assessment tools and reflect upon professional practice. Hollandsworth, R., Dowdy, L., & Donovan, J. (2011). 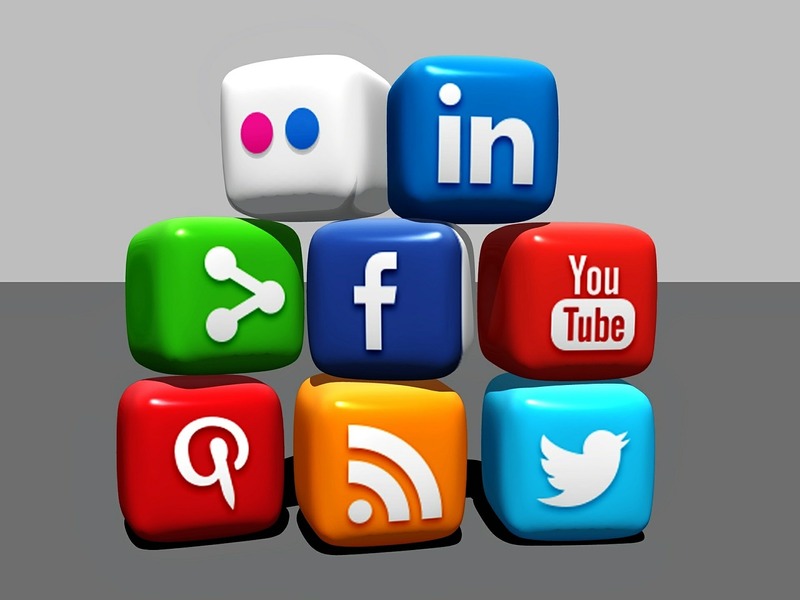 Digital citizenship in K-12: It takes a village. TechTrends, 55(4), 37-48. Retrieved March 28, 2015. Providing an overview of the issues schools need to consider as they set in place the policies and procedures necessary to establish a digital learning environment must address digital citizenship. The article, Digital citizenship in K-12: It takes a village, argues that student guidance in this area is essential in order to develop a society that is, “defined by effective attitudes and practices in digital decision making, ethical and legal issues, online safety, customer security, consumer security, and technology related health issues” (p.37). The authors qualifications in the field of education and a significant reference list are provided to validate the reliability of their research. The strength of this article is that it articulates all of the stakeholders involved in establishing a shared vision for digital learning priorities in schools. The article also provides evidence of the need to embed digital citizenship into curriculum and suggested methods for achieving this. It repeatedly argues that administrators and teachers need to be role models of digital citizenship as it is impossible to understand the behaviours and mindsets associated with online engagement unless they themselves are participants in the digital world, and this makes it a worthwhile read for college leadership teams. The International Society for Technology in Education (ISTE) provide a set of standards that are useful guidelines for the skills, knowledge and processes needed by students, teachers, administrators, coaches and computer science educators to succeed in the digital age. These standards were developed between 2007 and 2011 and are a very good framework for best practice strategies and an essential resource for establishing digital learning environments. 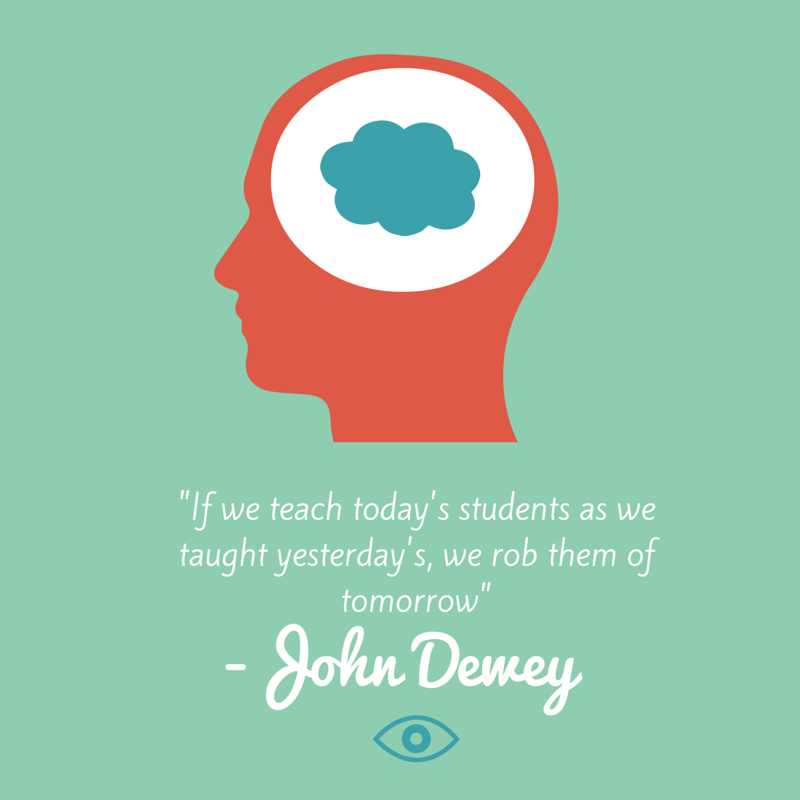 ISTE’s goal is to, “empower all learners in a connected world” and they provide an international conference, website resources, and professional learning communities to achieve their vision. The standards are accessed via the ISTE website, where educators can find connected resources such as the Essential conditionsfor technology integration and Standards in action which are examples of educators enacting the standards in classroom settings. ISTE’s work is based on peer-reviewed research on effective learning and teaching with technology and is edited by people with expertise in the field of education. Jenkins, H., Clinton, K., Purushotma, R., Robison, A. J., & Weigel, M. (2006). Confronting the challenges of participatory culture: Media education for the 21st century [White paper]. 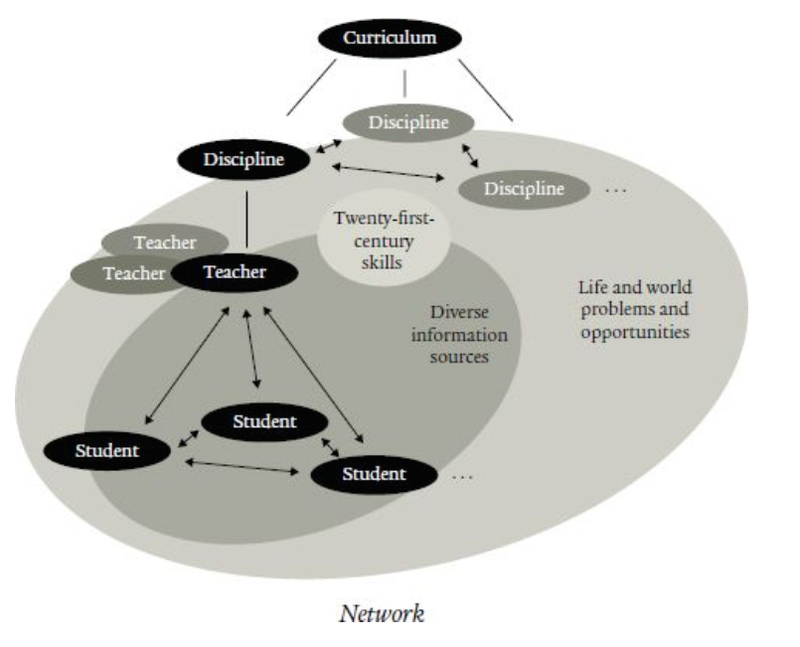 Retrieved from MacArthur Foundation website http://digitallearning.macfound.org/atf/cf/%7B7E45C7E0-A3E0-4B89-AC9C-E807E1B0AE4E%7D/JENKINS_WHITE_PAPER.PDF. Sponsored by the MacArthur Foundation, Confronting the challenges of participatory culture: Media education for the 21st century, investigates the roles of schools in helping students acquire the skills they need to become full participants in society. The key argument of this paper is that the digital divide between those who will succeed in twenty-first (21st) century futures and those that will be left behind is determined not by access to technology but by access to opportunities to participate and develop the cultural competencies and social skills necessary in new media landscapes. The paper is thoroughly referenced and the principal author is Henry Jenkins, the Director of Comparative Media Studies at the Massachusetts Institute of Technology. The Executive Summary of the paper provides a succinct overview of why schools require policy and pedagogy shifts to focus on building participatory cultures. 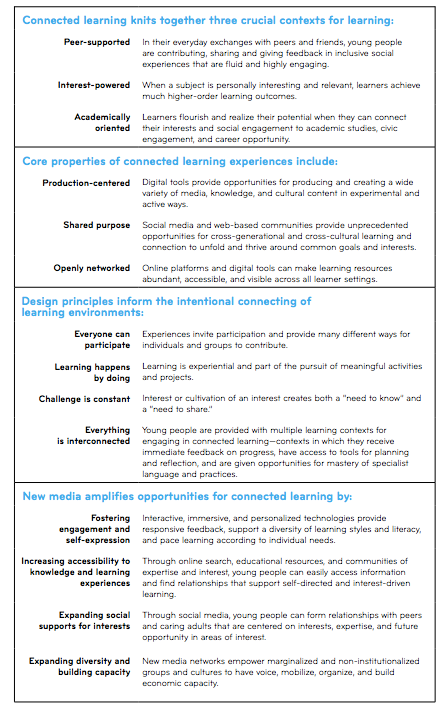 The remainder of the paper provides explanations of each of the skills required for participation and strategies for building these new media literacies. Perhaps one of the most valuable resources for administrators and educators considering the implementation of Digital Learning Environments, the New Media Consortium Horizon Report: 2014 K-12 edition, provides a well-researched overview of emerging technologies likely to impact teaching and learning in schools over a five year period. This report covers the three main areas of: key trends, significant challenges and important developments predicted. Crucial considerations for the digital age, such as rethinking the role of teachers, the safety of student data and hybrid learning designs are discussed in depth throughout this report and curated links to further reading and practical examples of how these concepts are applied to school settings are given for each area. What is also unique about the Horizon Report is that all of the background materials involved in the report, including research data and preliminary selections, can be downloaded for free on iTunes U. Often as educators we are exposed to research about new technology and pedagogical trends with little evidence of how they may impact our policies and practice, however refreshingly, the Horizon Report discusses the implications for policy, leadership and practice for each of the trends identified. When considering the policies and procedures necessary for a DLE, this report provides essential reading as it provides insight into thetechnology, skills and support that will be needed to remain current in teaching and learning in the digital age. 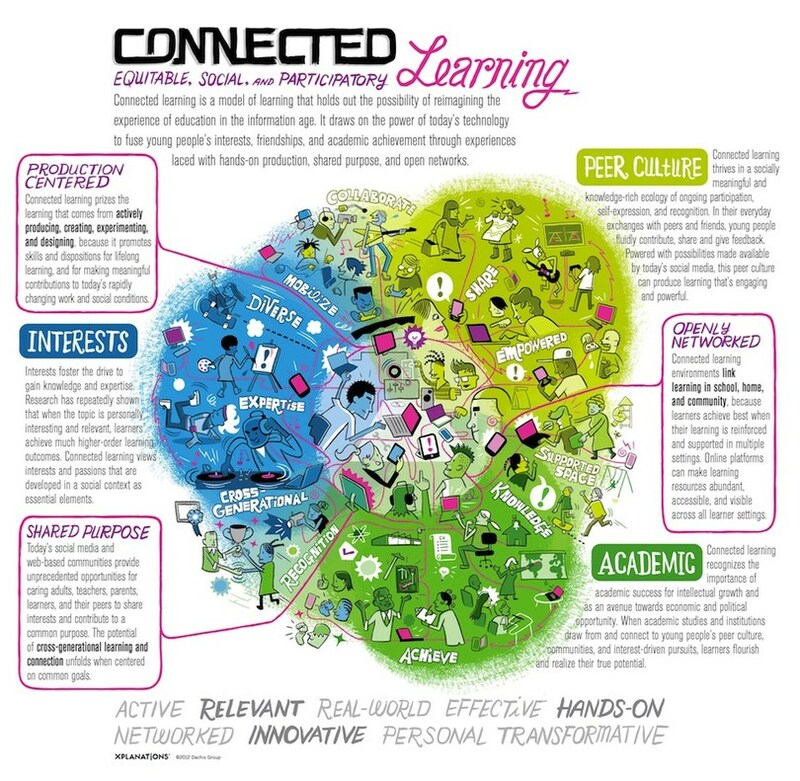 Digital Citizenship in Schools: Nine Elements All Students Should Know is the work of Mike Ribble and offers an overview of the behaviours, mindsets and skills necessary for successful participation in a digital society. Following this overview, Ribble provides a framework and lesson guides for schools developing digital learning environments that necessitate digital citizenship education. For the purposes of this research task, Section 3: Creating a digital citizenship program is particularly useful for identifying the digital learning issues affecting education. The structure of the book allows easy access for educators to use sections and chapters on an‘as needs’ basis, and as such, provides a useful reference source. Ribble’s qualifications support the reliability of this source and include: the attainment of a Doctor of Education, authoring a number of works (books and journal articles) on digital citizenship education published by the International Society for Technology in Education (ISTE) and a position as District Director of Technology. Chapter 2: the nine elements of digital citizenship is recommended for school leadership teams to become familiar with the areas encompassed in responsible, appropriate behaviour with regards to technology use. The Digital Citizenship Policy Development Guide published by Alberta Education acts as a guide for educators and administrators who are looking to establish a digital citizenship policy within their institution. Structured around Ribble’s research on digital citizenship, this document provides an overview of digital citizenship policies and practices while drawing from relevant school-based research. Although set in an American context with examples taken from schools in Alberta, the structuring of this guide around Ribble’s Nine (9) Elements of Digital Citizenship makes it relevant to educational institutions universally. The key purpose of this guide is to provide guidance in policy development to ensure the protection of students working in digital learning environments. While the introduction of this publication alone is essential reading in its definition and explanation of the relevance of digital citizenship in schools, each one of the nine (9) elements of digital citizenship are explored in relation to student and educator considerations, organisational requirements and policy considerations through Chapter Four (4). Although the laws discussed in this resource are applicable only to readers in Alberta, the application of digital citizenship policy to these laws provides brilliant precedent and discussions that could be applied to any educational organisation, regardless of its location. This resource is an excellent starting point for readers investigating policies and procedures applicable to Digital Learning Environments as it links relevant twenty-first (21st) century learning standards such as the ISTE NETs for students, teachers and administrators to digital citizenship frameworks. Of particular relevance to education administrators looking to create policies and procedures relevant to DLEs, is Chapter Five (5) Digital Citizenship Process and A Road Map, which draws together policy, outcomes, leadership and stakeholder involvement. The Digital Citizenship Policy Development Guide was particularly useful when conducting this environmental scan report as it assisted in modelling how frameworks and research can be mapped to establish relevant policy and discussed issues that may be pertinent to a DLE, such as cloud computing and Bring Your Own Technology (BYOT). Developed in consultation with education experts from a range of over twenty countries, the United Nations Educational, Scientific and Cultural Organization’s (UNESCO) Policy Guidelines for Mobile Learning provides essential guidelines related to embedding ICTs in school policies and procedures. Aimed particularly at policy-makers and administrators, the document recognises that all new policies within a school must consider the opportunities afforded by mobile technology and digital environments. Thus, these guidelines assist readers in understanding the benefits of mobile and digital technology and how they can be incorporated to improve teaching and learning. The chapter entitled Policy Guidelines for Mobile Learning starting on page twenty-nine (29) of the report, assists administrators and policy-makers in understanding and taking-action to include mobile learning in their policies and procedures, including areas such as teacher training and support, optimising educational experiences for students and advocating for safe, responsible and healthy use of mobile technologies. This section also highlights practices that should be examined, avoided and provided in policies and procedures, allowing educators to consider how this would affect a DLE in their own school environment. Therefore, this document is integral reading when considering the policies and procedures needed for a DLE in a school environment. Zellweger Moser’s research entitled Faculty Adoption of Education Technology provides an in-depth examination of the ways in which technological support provided by the employing institution can influence teaching staff when integrating technology in their teaching and learning. 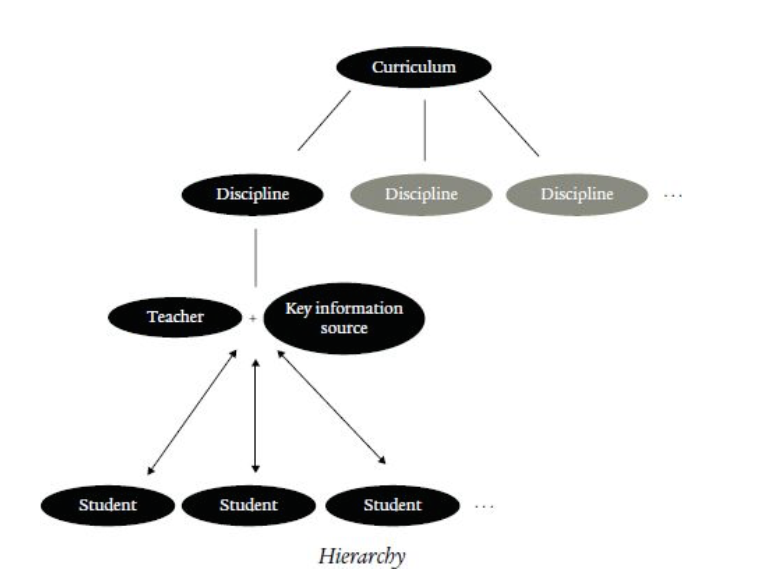 Although Zellweger Moser’s research was undertaken in higher education facilities, it includes several considerations applicable to teaching staff in both primary and secondary environments. Figure One (1) entitled, Faculty Educational Technology Adoption Cycle on page sixty-six (66), is an adoption cycle proposed by the author that incorporates factors such as time commitment, competence development and student feedback that are likely to impact upon teacher adoption of technology use and digital environment s. On page sixty-eight (68) of the document Table One (1)Negative Educational Technology Adoption Scenario and Figure Two (2) Faculty eLearning Behaviour and Support, address the issues identified in this environmental scan report of staff preparedness and buy-in and the role of senior and middle management in supporting a DLE. Zellweger Moser’s finding that level of support given to teaching staff when adopting technology and DLEs significantly influences the success of such initiatives cannot be ignored in the policies and procedures of an intended DLE.